Beautiful home in popular Saddlebrook Forest! Many new upgrades - granite, new master shower, and more! All rooms are large + the basement has a room with a closet that could be 6th bedroom or media room. 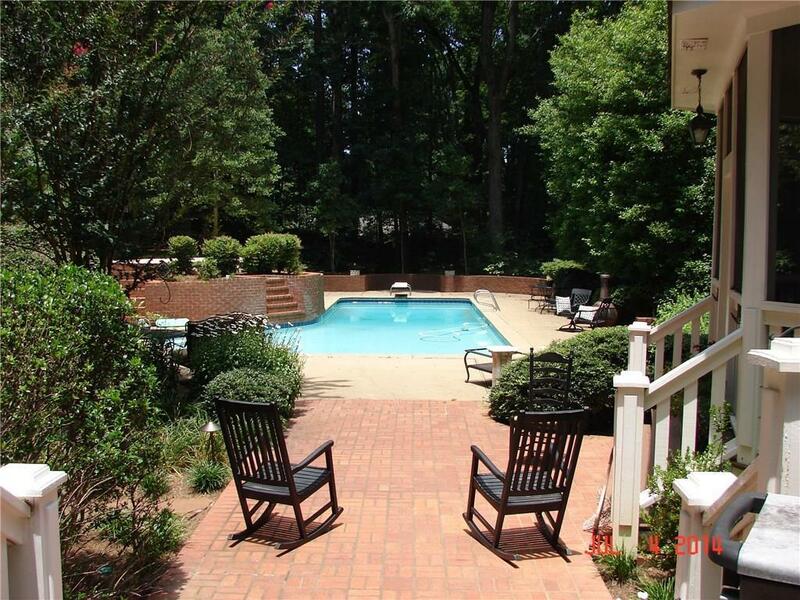 I challenge you to find a more beautiful pool and back yard! The screened gazebo is the perfect place for entertaining. Very easy living inside home with 2 stairways. Separate side entry on main level - also from lower level. Enjoy pretty lighting in backyard while you relax in the whirlpool. So close to schools, shopping, restaurants etc. Directions: From 400 Take Holcomb Bridge Going West - Turn Right On Crabapple Rd. Left On Hembree Rd. Right Into Sub - First Left Is Saddlebrook Drive. Follow To House On Left.